A hardy, perennial shrub that can be propagated from a clipping. This guide is about starting a forsythia from a cutting. 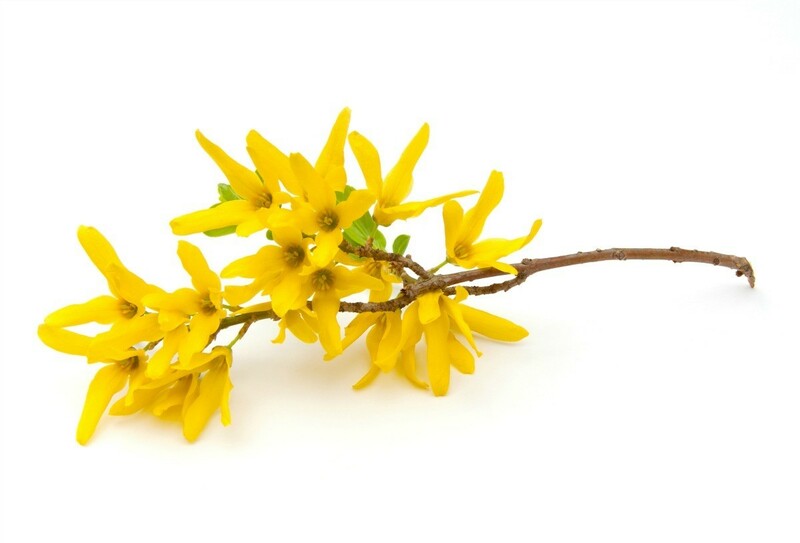 When rooting a forsythia cutting in water, how many roots do you need before planting it in the ground? It is best to have a quite a few roots on the branch before you plant it. I normally root my plants in the florist foam that they use in flowers. This way the roots grow into the foam and when you plant this in the pot it helps to support the roots and the plants seem to grow better. I would wait until I have a good cluster of roots before planting it in soil. Be sure and change the water often. I have a forsythia hedge in the back of the yard and I'd like to start one in the side yard. I plan on growing them from cuttings off my existing plant. How long will it take to establish a hedge row? They grow up to 24 inches a year. You can just put the cuttings in the ground and they will grow. I heard you can take a forsythia branch and it will take root in a bucket of water. I would like to have this bush in my yard. Can it be done this way to start the root process? Yes, you can start forsythia in a glass of water. It's best to use water that is not chlorinated. Do you have any creek water or well water available? Once the roots are established, and just before planting dip the roots into root hormone which can be bought at Walmart in the lawn/garden dept. It's a white powder and be careful not to have any breeze blow this powder near your face and wash hands after use. husband cuts them off or we dig them up and give away to others. Yes, you can pick some branches and enjoy the yellow flowers, then the flowers will fall off and green leaves will appear. Keep water in the vase and roots will start. When there are enough roots on each stem, they can be planted. You can use distilled water. Been rooting a branch over the winter in distilled water. Checked it today (2/15/18) and found a long root growing from the side of the plant. I assumed the roots would be at the bottom. There is a tiny (second) root as well. How many root do you need before planting into the ground? I have these bushes at work and would like to make a hedge using them. Can I root them to do so? A friend of mine started a hedge with cuttings from our Forsythia. She just stuck them in the groound, no rooting in water, and they took off & she has a beautiful hedge all around the back of her property. its not forstyia, its just a green hedge that is quite nice does anyone know how to root it or what it is called? My grandfather had a hedge all my life, my mom cut stems off and stuck them straight into the ground and later a full hedge, still growing. for a while it looks like little sticks down the length of the yard. I would like to start more lilac bushes and forsythia bushes. Can it be done successfully? Also a friend has a large rhododendron that they don't want. We want to move it to our house. What's the best way and the best time? Bend forsythia branches to the ground and cover with soil. Water often. Roots will form and then you can cut it from the mother plant and transplant. I've also started them from cuttings placed in water and put out of the sun till rooted. Dig up baby lilac bushes that come up close to the mother plant and move to desired spot.